RetinaLink featured Camila Ventura, MD, PhD, in May 2017. 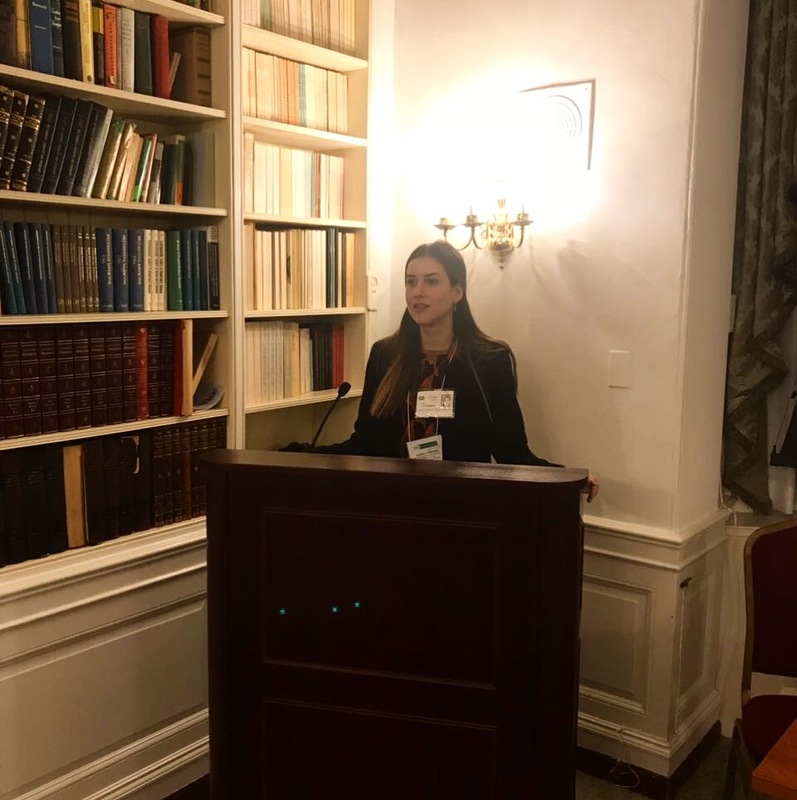 At that time, Dr. Ventura had recently completed her Pediatric Retina Research Fellowship at Bascom Palmer Eye Institute in Miami, FL, and was moving back to Brazil. She’s currently practicing at the Altino Ventura Foundation (FAV), a non-profit eye care institution and multiple disability rehabilitation center in Recife, Brazil. Recently, Dr. Ventura was the first Brazilian ophthalmologist to receive the prestigious Research Project (R01) grant to study the neurodevelopment of children with Congenital Zika Syndrome (CZS). The R01 grant is usually awarded by the National Institute of Health (NIH) to support studies that have been previously awarded with a R21 grant. However, due to the importance of this topic of her research, her team was awarded with this higher-level grant from the start. This R01 grant will allow Dr. Ventura to continue her ongoing research on babies affected by the Zika virus (ZIKV) during the Brazilian outbreak that happened in 2015-2016. ZIKV was recognized as a global epidemic by the World Health Organization (WHO) in 2016. In the United States, more than 5,500 ZIKV cases were reported since January 2015 and 102 CZS cases have been confirmed since then. Most of the cases in the US were travel-related, but the local transmission cases were notified in the states of Florida and Texas, probably due to its subtropical climate, ideal for mosquito transmission. RetinaLink (RL): Explain the NIH R01 grant process. Camila V. Ventura, MD, PhD (CVV): Applying for an R01 grant usually involves an extensive process of establishing the aim of the study, developing a committed team, organizing the documentation needed, and presenting a structured study project. Honestly, neither, I, nor the institution I work, had any previous experience with NIH grants. So, if we were to apply for an NIH grant on our own, we would probably face many more difficulties. However, I was very fortunate to meet Dr. Don Bayley, a distinguished fellow at RTI International in June 2016 during a CZS meeting sponsored by The Centers of Disease Control and Prevention (CDC). RTI International is a non-profit research institute considered one of the largest research institutes in the world with headquarters in Research Triangle Park, North Carolina. When I met Dr. Bailey, he expressed that RTI International was very much interested in doing research involving CZS and proposed a collaborative research in partnership with the FAV. After a couple visits to Recife, the partnership between RTI International and FAV solidified and we started to put a research team together. I was introduced to Dr. Anne Wheeler, a licensed psychologist and researcher at RTI International, whose research is focused on neurodevelopmental outcomes, behavior, and social/emotional development in young children. Due to her expertise in neurodevelopment and research, she became my co-PI for this ZIKV research. During the entire application process, we received guidance and support from the RTI International, and it took us one year to receive the grant approval from NIH. RL: What is the focus of your ZikV research? CVV: The main aim of our study is to conduct a longitudinal study of the developmental and functional outcomes for infants with CZS during their early years of childhood. In other words, we will be assessing the child’s neurodevelopment (cognitive and motor skills), functional skills (language, sleep, and feeding). A secondary aim of our study is to understand the family adaptation to CZS including stress level, parent-child interaction, and the family dynamics. RL: How long will you receive funding for your ZikV research? CVV: Our research is solely funded by the NIH and will include 200 children with CZS to be followed for a 5-year-period. RL: You were selected to present a TEDMED talk in 2017 which is a medical TED talk. How and why were you selected? CVV: TED (Technology, Entertainment, Design) Talks in general have become very popular worldwide and it is known for its informal talks about current themes and burning “timely” topics. These relevant topics are picked in advance in order for the TED team to find the expert with most experience on that topic that will best convey the message. TEDMED, on the other hand, is the independent health and medicine edition of the world-famous TED conference that convenes ideas in pursuit of innovation in health and medicine. The TEDMED is best known for their annual event, usually held in Palm Springs, CA, where the selected speakers come together to present on stage. Since ZIKV had global impact, and Brazil was the country mostly affected, they wanted to have a Brazilian expert talk about the experience of being a ZIKV healthcare provider. I received an email from the TED group asking if I would be interested to talk on the phone and be interviewed by them. After the interview, I received an e-mail informing that I had been selected to be a TEDMED Speaker for 2017. The 2017 TEDMED event was held from November 1-3, 2017 and gathered 40 inspiring speakers with different background and unique stories. Speakers presented to a crowd of 350 highly selected people and was simultaneously broadcasted to the world. I was very fortunate to be part of this group of people, get to meet the other speakers, and get to know their story. RL: How did you prepare for your presentation and are there time constraints or considerations for delivering your TEDMED talk? 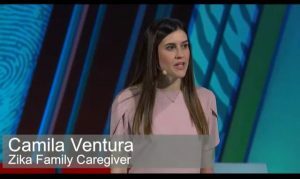 CVV: To be selected as a TEDMED Speaker is both very exciting and the experience is very unique, but since there is no teleprompter or notes on a slide to assist, you have to literally memorize every word of you talk, and this can be quite mentally demanding. From the moment I was selected as a TEDMED Speaker to the moment I went up stage, it was a six-month preparation process. This process involved drafting and editing, memorizing, and rehearsing the talk. The memorizing part of it can be described as “overwhelming”. Despite being taught some memorizing techniques, we are basically informed to practice our talk out loud at least 80 times. They, also, go through some other details like, what not to wear on stage. By the time we get to Palm Springs, CA, to present on stage, we have the opportunity to have final coaching to discuss the final presentation details, such as moving on stage. Finally, the day of, the TEDMED team helps us get our voices warmed up, hair and makeup set, microphone on, and ready to go. I) Response to correction of refractive erros and hypoaccomodation in children with congenital Zika syndrome. 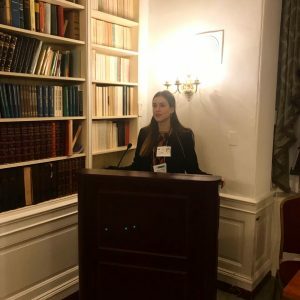 Liana O. Ventura, MD, PhD, Linda Lawrence, MD, Camila V. Ventura, MD, Gordon N. Dutton, MD, FRCOphth,4 Polyana Marinho, MD,1 Priscila F. Ferro, MD,1 Adriana L. Gois, MD,1,2 Natalia C. Dias, MD,1 Larissa Ventura, MD,1 Cynthia A. Moore, MD,5 Lea Hyvärinen, MD. J AAPOS. 2017;21(6):480-4.e1. RL: What are your 2018 new year’s resolutions? 2) Say, “I can’t” and don’t feel so bad about it. 3) Spend more time with my family and close friends.